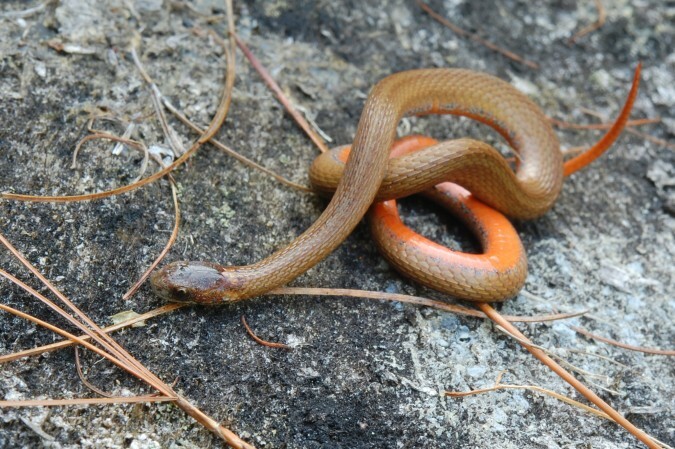 A small, cryptic snake that is often found in the hills around the University. It feeds on slugs, earthworms and other small invertebrates. This red-bellied snake was discovered by Alan Richmond while he was conducting a rare species inventory in the Berkshires.